2 Bedroom Park Terraces with 1 Parking For Rent. UNIT DESCRIPTION:•2 Bedrooms•2 Toilet and Bath•Maids / Utility Room with Toilet and Bath•127sqm•Fully Furnished•With 1 Parking Slot. 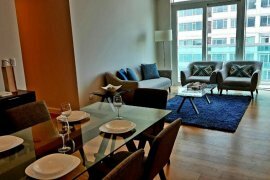 2BR Joya Lofts and Towers For Rent. JR 2 Bedroom in Serenity Suites - Makati. 1 BR Joya Lofts and Towers Rockwell. 1 Bedroom in Manansala Tower Rockwell Centre. 2BR Condo for Sale in Makati Rent to Own 40k monthly. 3BR For Rent at Pacific Plaza Ayala. One Rockwell 3 Bedroom with Parking for RENT. Fully Furnnished Three Bedroom for Rent in Salcedo Village. Salcedo Village, Makati City241.63sqm, 3 bedrooms, fully furnished, balcony, one parkingPhp183,000 per month, inclusive of dues. Can issue official receipt if needed. Minimum one year lease. One Rockwell East Unit for Lease. 1 Big Bedroom Condo for Rent in Makati Rockwell Century City Jupiter Ayala Eddie Co.
One Central 2BR For Rent @ P100,000/mo. This property is interiorly decorated. 2Bedroom, 2 ensuite bathroomPower roomCorner UnitInteriorly Decorated97 sqm.1 Parking Slot Family use onlyP100,000/mo inclusive of association dues Terms: 2 Months security deposit, 3 months advancePersonal Lease Viewing requires a day noticeBring Identification (ID) during the viewing. For Lease: 2BR The Shang Grand Tower. Ladies Dorm / Bedspace for Rent Makati near. Big Deluxe Studio Condo for Rent in Makati Rockwell Century City Jupiter Ayala Eddie Co.
3BR in Salcedo Village, Makati FOR RENT Fully Furnished. 2BR for Rent at TRAG. big 4 bedroom Condo unit for rent in Salcedo Village Makati. iDorm Escuela - Dorm for Rent near BGC Makati. Condo for Rent at Rizal Tower. Condo for rent of 286sqm, consisting of 3 bedrooms located at Makati, Metro Manila. 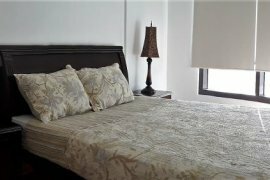 Columns Ayala Avenue FOR RENT 2 Bedroom FULLY FURNISHED. For Rent 3 Bedroom The Residences at Greenbelt TRAG Makati. 2 bedroom furnished with parking the colonnade residences makati. 2BR for rent in Paseo Heights Salcedo Village Makati. Greenbelt Chandelor 1BR for Rent at P50,000/mo. 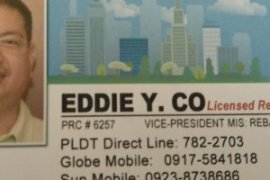 Hello, Please contact me, I am interested in condos for Rent in Makati. Best Regards. Makati City is probably one of the busiest cities in the country. And it should be, since it's dubbed as the Financial Capital of the Philippines. Every day, Makati hustles with people coming from various industries - from tech to beauty, from finance to art. Everyone is working very hard, making sure that their big dreams will come true soon. Because of the wide array of opportunities that Makati offers, people from different parts of the country can't help but to move closer to the Wall Street of the Philippines. Tons of rental options are available. Apartments and bed space rentals are there for those who want easy and convenient leasing terms. But nothing beats the comfort of condominium living. This can be seen on the high demand for condominiums in Makati today. Tons of luxurious developments pop up left and right while high rise condominiums loom over the busy city. There are also cheap condominium in Makati located at top neighborhoods. Here are some examples of residential neighborhoods in Makati that you should definitely check out. This neighborhood is home to one of the most iconic churches in the country, the Nuestra Señora de Guadalupe. Brgy. Guadalupe Viejo is a quiet neighborhood perfect for those who want to seek peace and security in the middle of the city. Aside from having its own MRT stop (Magallanes Station), Brgy. Magallanes is also known for catering both residential and industrial properties. Offices, showrooms, and co-working spaces peppered this neighborhood's busy streets. Tons of condominium and apartment developments are also located nearby. Named after a Filipino hero, Pio del Pilar, this busy neighborhood in Makati is where the Pasay Station of the Philippine National Railroad is located. Both high and low rise condominiums can be found in Brgy. Pio Del Pilar and prices for rent can also vary. Condo for rent in Makati for 5k to 10k are always available. 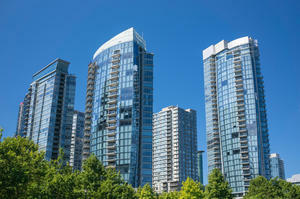 Swanky residential towers surround this neighborhood where the most prominent families live. Brgy. San Antonio is perfect for those who want to spend their weekends shopping at the Sunday bazaar or listening to their favorite bands at the local bar. What are you waiting for? Live at the financial capital of the country today. Aside from top notch condominiums, you can also check out other developments in Makati like townhouses and commercial spaces. 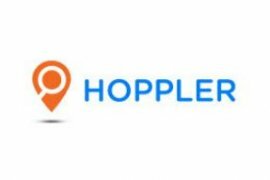 Dot Property is Philippines’s leading online real estate rental resource, listing 3,544 affordable condos for rent in Makati. Save this search to receive emails when new condos for rent are listed in Makati. Rental properties in Makati are provided by Philippines’s top real estate professionals and private home owners. The average condos in Makati rental asking price was ₱ 93,562 on 1 Apr 2019 and the average size was 264.4 square meters with 1.4 bedrooms. Agents such as Michelle Madarang - Trusted Real Estate Broker, Gena Mahinay-Rilling and loreza 'dexra' asistio can also help you speed up your condos search in Makati. You can also create your own rental listing by uploading your condos for rent for free in two easy steps - signing in and creating a property ad. In addition to rentals in Makati. Dot Property also provides condos for sale in Makati should you like to compare availability.